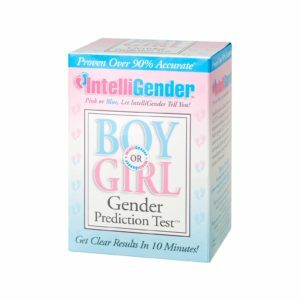 Engaging scientists, chemists and engineers the IntelliGender® Gender Prediction Test was launched in November 2006 as the world’s first, in-home, urine based, gender prediction test available. The test can be taken as early as the 10th week all the way to the end of your 36th week. The test is easy to take and provides quick results in just 10 minutes, so the news can be shared right away. How was the Gender Prediction test developed? There has been a lot of research conducted in an attempt to develop a reliable method for determining the gender of an unborn baby by examining the chemicals produced by the pregnant mother’s urine. While there have been incremental improvements in the process, all prior attempts have fallen short of producing the chemical composition necessary for the general public to be able to read the results. The reliability of these prior tests fell well short of what was acceptable. IntelliGender has heavily invested in developing, refining and testing the specific patent pending formula that successfully reacts to the chemicals in the urine produced by the mother and baby combination. This exciting, revolutionary formula produces a “dark, smoky green” reaction to the urine of a mother carrying a male baby and an “orange tinted” reaction to the urine of a mother pregnant with a girl. A color chart on our G.P.T. label matches to the various shades produced for an easy-to-read determination of the unborn baby’s gender. Our testing has been conducted in “Mums to Be” as early as three weeks into pregnancy. Test results started revealing the gender as early as the 10th week. Congratulations on your pregnancy! We wish you a healthy and safe pregnancy. Our test is a fun way to discover more about your baby and share the news of pink or blue as early as possible. The test is simple to perform. Be sure to follow the instructions provided inside the test kit. Collect your first morning urine and insert the indicated amount into the test vessel. Swirl rapidly in a circular motion for 10 seconds, DO NOT SHAKE, place the test on a flat surface undisturbed for 10 minutes. Read the test at eye level and match the color to the boy or girl color chart on the test vessel. Download our PDF guide for complete directions.